A man in white-winged angel shoes awakes in infinite black to the strains of Liszt’s “Dance of the Dead”. An existential disaster comedy. 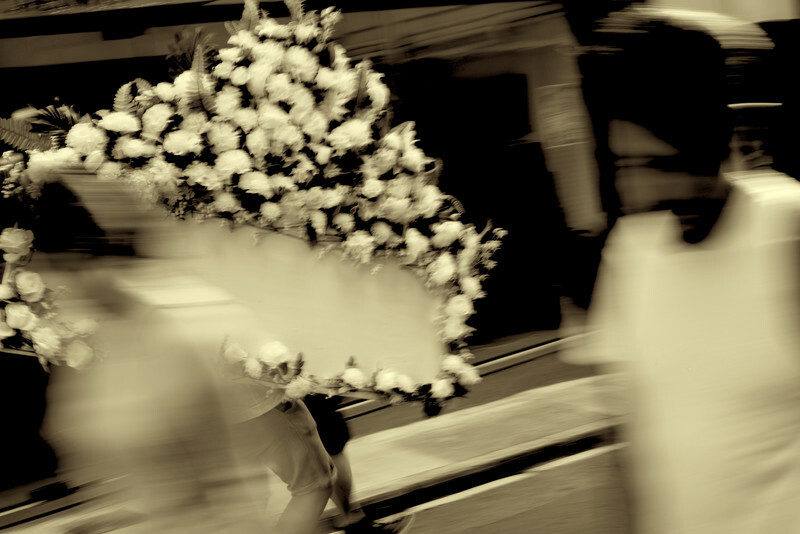 1958 Delivery follows the journey of a funeral flowers delivery man searching for an address, caught between moments of condolences, the past and the ever-changing landscapes. Three people inside an old factory dance from room to room affirming moments of stagnation in endless time. Five figures inhabit an uneven terrain, negotiated through increasingly perplexed movements and sensory explorations. For information on Ruth Gibson and Bruno Martelli’s Artist Talk on Sunday 11 November click HERE.